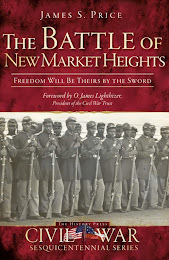 In anticipation of the upcoming release of my first book, The Battle of New Market Heights: Freedom Will Be Theirs By The Sword, I thought that I would take the time every once and awhile to share some of the great firsthand accounts of the battle that I could not fit completely into the book. While you will recognize some of the names and parts of their testimony as to what happened on September 29, 1864, I still feel like reading their entire account uninterrupted is of great value. As Adjutant of the regiment I received and transmitted to the Company Commanders on the evening of Sept. 28, 1864 and order to equip their men for immediate action, and be ready to form line at daybreak the following morning…We went forward about a mile without encountering the enemy; then our skirmishers came upon their pickets and lively firing began. The enemy, however, gave way almost immediately, falling back upon their reserves, and again on to their main line. Our skirmishers pursued so rapidly that we had to go at a double-quick to keep at proper supporting distance, and we were close upon their heels when they reached the earthworks at Chapin’s Farm. These we charged at once, believing the whole corps was at our backs to support us as we had supported our skirmishers, as we had been told would be the case. The earthwork immediately in front of us was strengthened by an abatis extending along its entire face. This had in front of it a sluggish stream with marshy banks and mossy bottom, about four yards wide. Just at the left of our regiment, the enemy’s earthwork ran at right angle to the front we were charging and enabled him to give us an enfilading fire as we moved forward, which was terribly effective. At the edge of the stream, I jumped from my horse and threw the reins to the orderly, for I was sure the horse would be unable to get across owing to the marshy nature of the ground. The reins had hardly left my hand when the horse went down, shot dead from the opposite bank. When I got over the stream, I found a level space of ground thickly covered with our dead and wounded. Among these I saw Lieutenant Meyers lying upon the flag, dead, but still holding it. I took it from him and pushed forward to bring the colors to their proper place. All at once I went down, but jumped up immediately and tried to raise the flag, for I thought I had fallen over the dewberry vines which grew thickly there, but finding it did not come, I looked down, after trying again, to see why I could not lift it, and found my (517) hand was covered in blood, and perfectly powerless, and the flag staff lying in two pieces. I sheathed my sword, took the flag with its broken staff and reached the abatis. Colonel John W. Ames was there, and about a corporal’s guard of men, others soon appeared out of the powder smoke, which was so dense that we could see only a few feet ahead of us. After waiting a few moments to see how many we could muster, the Colonel said: ‘We must have more help, boys, before we try that. Fall back.’ When we got beyond the stream and out of the cloud smoke, we could begin to see how terribly we had been cut to pieces. We lost more than every other man, and fourteen out of the eighteen officers with which we had begun the fight. 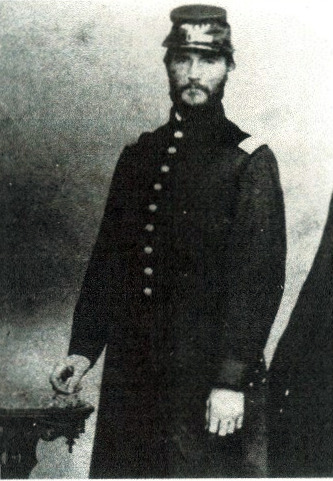 Edgerton was treated for his wound at the Chesapeake Officer’s Hospital where surgeons successfully operated to save his arm. After the war, he launched a successful career as a scientist and inventor, even helping introduce electric power to the Commonwealth of Pennsylvania. By this time the war must have seemed a distant memory, but not everyone had forgotten what Edgerton did at New Market Heights. On March 22, 1898 he was informed that his valor on that day had earned him the Congressional Medal of Honor. Edgerton wore his medal proudly until he passed away on October 27, 1932. 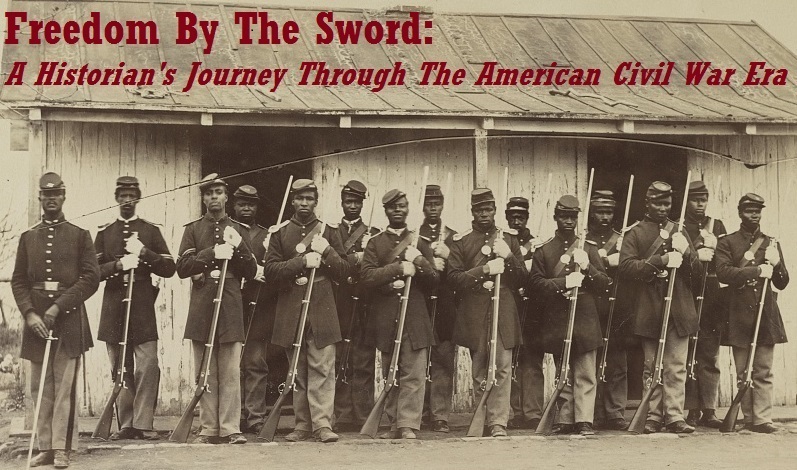 The 23rd USCT Keeps Making Headlines!